All we read about these days is the promise of “Big Data.” Companies like Google, Facebook, and Amazon are just beginning to tap into the mass information they possess, and one shudders to imagine just how much these companies know about what we’re up to online. There’s no telling how much data there currently is, and may become available in the future, and still no clear path on how to balance the opportunity with the risk. The only thing that is certain is that data is the hottest topic this industry’s seen in a long time – and all of the data in the world won’t help marketers without the right filter. The real power lies here: in the Social Graph. 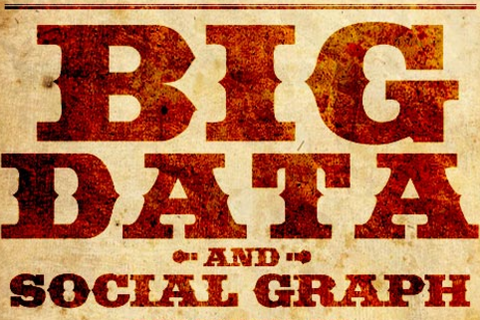 The Social Graph is the missing link between advertising and our interactions on the Web. By tapping into the social connections and relationships between a brand’s loyalists and her closest friends, the Social Graph revolutionizes the degree of advertising effectiveness, with infrastructure that respects consumer privacy. Eric is the CEO and co-founder of 33Across, bringing 20 years of experience leading successful Internet businesses to 33Across. Prior to 33Across, he was the CEO of Neo@Ogilvy and Executive Director of Ogilvy Interactive North America. Under his leadership, Ogilvy Interactive's revenue grew five-fold from 2003-2007 working with leading brands including IBM, American Express, TD Ameritrade, Cisco, and Yahoo!. Eric was COO of Carat Interactive and co-founder and President/COO of Lot21, the award-winning digital agency that sold to Carat in 2002. Eric's career includes leadership positions at CNET, Young & Rubicam, and Anderson & Lembke in San Francisco. Eric holds a BA in Political Science and Philosophy from Boston University.